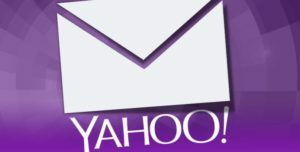 News; there were a lot of reasons to visit the Yahoo website. However, currently, Yahoo is a shadow of its former self (Nordquist, 2017). First, came the search engine Google, which became the preferred search engine for many. This is because the business model used by Google offered a lot of information to users of the search engine, as it used information created by others while Yahoo in a lot of ways created their own information. It is totally wrong for a business to blame a competitor for its problems, since Yahoo’s failure came from within the company. Flat-line growth – The company stopped growing, most of the users moved to other options, such as the Google search engine. By the time Yahoo was realizing its slow growth, it may have been a little too late to catch up. At one point in 2008, Microsoft tried to acquire Yahoo for $44.6 billion; a deal that Yahoo’s leadership declined hoping to find other buyers till Microsoft withdrew their offer. Now if Microsoft was to buy Yahoo, it would be for $4.8 billion (Nordquist, 2017). Slim profits– Though Yahoo still makes profits to date, it could do better being some of the first successful companies that grew with the internet era. Yahoo makes its profits from shareholding at Alibaba.com and Yahoo Japan, and not so much from its main original services. Yahoo lacks a good strategy that can be used as a blueprint to success. Further, Yahoo lacks brand purpose and future brand vision. A company like Google has stuck by the same principles it made upon creation while Yahoo’s self description has changed 24 times in 24 years (Wharton, 2016). When Mayer’s became the CEO, she made efforts to gather young technology talents to revise the company strategy. Finding this expensive, she instead got to an acquisition binge for over $2.5 billion which has not benefited the company much (Nordquist, 2017). When comparing Yahoo’s strategy to that of Google, Yahoo is more of a media house than a search engine. Poor top leadership is probably one of the biggest contributors to Yahoo’s downfall. When Yahoo realized its downfall, it started appointing CEOs that would turnaround the company into something close to its old self. Though there were other CEOs who were appointed and left (4 CEO’s in 5 years), Marissa Mayer, is probably when Yahoo really got it wrong in terms of leadership. Yahoo viewed Mayer as the savior of the company yet all she brought it were the wrong strategies. For example, among her first activities as CEO was to personally participate in logo redesign and went on to acquire new technologies and companies for over $2.5 billion (Nordquist, 2017). Service portfolio- portal, search engine, Yahoo finance, Yahoo answers, Yahoo mail, Yahoo directory, messenger etc. Advertising market being grabbed by social networking sites. 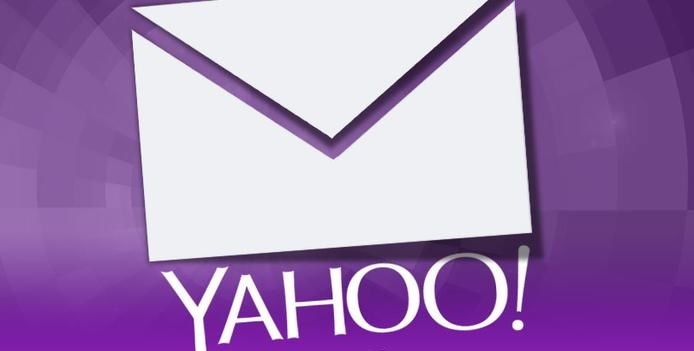 In the recent past, there are low entry barriers thanks to the internet and technology advancement hence new entrants are coming up in a lot of areas that Yahoo is involved in; such as directories, mail, answers platforms etc. “Thus, scale economies may be less important in this context and new entrants can go to market with lower capital costs” (Dess, Lumpkin, & Eisner, 2007, p. 282). Buyers have low switching costs and the next seller is just a click away. “The internet and wireless technologies may increase buyer power by providing consumers with more information to make buying decisions and by lowering switching costs (Dess et al., 2007, p. 284). Buyers are also more informed and will know where to get a better version of everything. Yahoo depends on existing technologies in order to improve its own. This means suppliers do have high bargaining power (Kasi, 2017). They also depend on sources of information, to feed their directories and search engines which and with the opportunities available in the industry for suppliers to sell their material, they do have high bargaining power. Substitutes have increased due to information available on the internet. Traditional media which is still usable today is another source of substitutes. This is one of the biggest threats to Yahoo; the intensity of competition on the internet is very high. The main competitor is Google which already has 83% market share. In other services that Yahoo offers, there is high competition such as directories, answers, etc. Attract new talent that will suggest innovative ideas. For example, Terry Semel has implemented the concept of network optimization that has been a source of revenue and projected Yahoo’s other businesses in the industry. Before committing to any activity, it is very important that Yahoo reviews its strategy. The strategy must consider the changes that have happened in the internet environment since the last one was created. It must also foresee the expectations of the people in the future. This information will feed Yahoo with a strategy that is not going to be obsolete in the next few years, but one that is sustainable in the long run. Dess, G. G., Lumpkin, G. T., & Eisner, B. E. (2007). Strategic Management (3rd ed.). Irwin: McGraw-Hill.